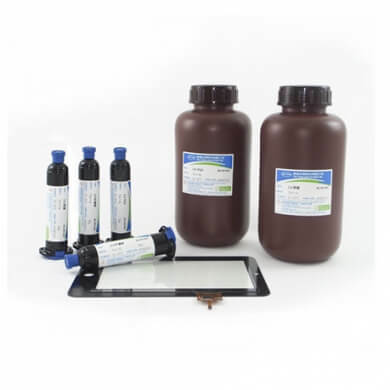 Our UV /Visible light curing adhesive and hard coating production line is complete with a wide range of different products including adhesive, pressure-sensitive adhesive, black masking gel, paint, primer, and UV curing adhesive removal agent. Optoelectronic materials include high-transparent ITO conductive film and high-temperature protective film. The scope of applications includes flat panel displays, camera / cell phone lens modules, and more. UV curing adhesive comes with several different features including fast curing, solvent-free, dry surface, tenacity that is not susceptible to brittle fracture , high strength structure, and dissimilar material adhesion. It is applicable to the UV light guide ink of light guide plates in backlight modules, the molded structures on plastic sheets, and the hard coating of 3C products. With a complete production line, we are able to provide relevant technical services. 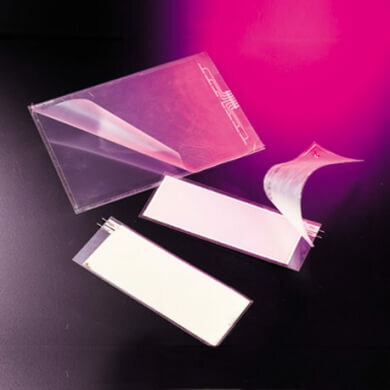 ITO transparent conductive films manufactured in Japan, can be separated into the crystallization and non-crystallization types, which come with a wide range of different features including high-transmittance, anti-Newton rings, high writing-resistance, low shrinkage, and other characteristics. ITO transparent conductive films are suitable for the various sizes of touch screens, electromagnetic radiation absorbers, electromagnetic shielding, EL, and so on. ◎ Screen printing conductive paste/adhesive.